Spokane's best tree service and tree removal company is far from typical. We will show you what it truly means to be taken care of! We offer: Tree removal, stump grinding, tree trimming, shrub trimming and removal, tree injections, lot and land clearing, tree fertilization, tree mulching, arborist and emergency service. We live in there Northwest. That means there are a plethora of trees, especially large ones that like to fall down. We are the best tree service Spokane has ever seen. Our speciality is safe, fast and efficient tree removal. If you need us to come in and fall some trees and hall them away, we got you covered! If they are already fallen, call us as well and we will get them out of there! We love trees, but we don't like dangerous or dead ones. So if you need some trees removed, no matter the kind, don't hesitate to call. We are the highest quality, best trained and one of the most affordable tree removal services in the area. We are the Spokane and Coeur D' Alene premiere tree doctors. We specialize in many things, and one of them is taking care of your your trees. If your trees are in poor health and need a professional to come in and revive them, then we are the company for you. Trees are beautiful creations and we do everything we can to provide you and your trees with the highest quality of care. Tree trimming and fertilization are all significant parts of the tree care process. Give us a call today and we will come take care of you! It is no secret that the Northwest has a ton of trees and greenery. Trees and plants are beautiful and useful but when they die, fall over, get infected or become overgrown they can be quite the pain. At Spokane Tree Service we are here to help you to stay on top of your trees, shrubs, bushes and plants. We are a full tree care service with in house tree doctors also known as arborists. Tree removal is our most wanted service, and with the amount of time we have spent providing this service, no tree is too big for us. We have been serving the area for over a decade and are experts on the subject of tree care. We care about a greener earth and a tidier one as well. Even though it may be different, taking care of plants, shrubs and trees is something we are passionate about. We are also the safest most cautious tree service in the area. You can count on that. Whether you are in need of a removal, trimming or life extension on your greens, we want to help you make the right decisions when it comes to properly caring for your trees and plants. 1. ISA Certified. 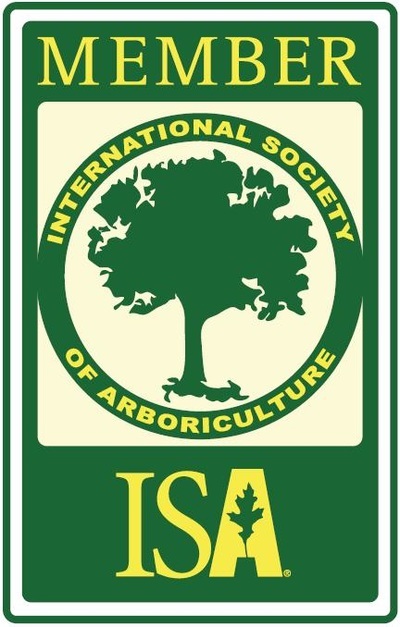 Earning a certificate from the International Society of Arboriculture is voluntary, but companies that do so demonstrate that they are dedicated to being the most knowledgable as they possibly can so that they can offer top notch service. Tree Service Spokane took the time to earn certification so that we can help our customers to the fullest, one tree at a time. It is simple... If you want the job done right, hire the right people who are the most qualified! 2. Any Size Any Type. No matter the size of the tree we can remove it, trim it, treat it, grind it or mulch it. Trees can be dangerous when they are large enough. We have dealt with trees that are hundreds of feet tall. We don't want you risking your safety by doing something yourself or by calling a company that is under trained and under qualified. Types of trees don't matter either. Our knowledgable staff knows how to care for all types of forestry that is local or foreign to the Northwest. 3. Top Of The Line Equipment. Our equipment and tools can handle any job. We have invested a lot of money into having the best equipment that is on the market so that we can provide the best service possible. From chainsaws, to dump and lift trucks, to forestry and arborist supplies, we have the best. A company is only good as its weakest link, and if a tree services' weakest link is their equipment, they will not be able to get the job done affectively. 4. Fully Insured. Tree falling and removal is very dangerous work. It requires cutting with several complicated tools, overhead and heavy lifting, and extreme heights. Yes, tree service companies are generally professionals but that doesn't mean they are invincible to injury. In the event that a person got hurt and a tree care company did not have proper insurance, you, the homeowner, would be liable. With us, you are 100% covered. Our insurance covers any type of accidental injury or any type of damage to your yard or house. Don't get us wrong, we rarely ever make mistakes but it is better to be insured and to put our customers first. We believe it is worth the investment. So don't take the risk with any of the uninsured or even poorly insured companies out there. 5. Quality Yet Quick. Our number one focus is quality and getting the job done right. We do things the proper and professional way and always go the extra mile, because we truly value our customers. At the same time, we have been doing this for so long we get the job done quicker than most. With Tree Service Spokane there is no lallygagging around. We get in, plan properly, get to work, finish the job, make sure you are pleased and then get out. 6. Safety First. As stated previously, tree care and removal is not the safest of work, but we love it. We take extra precautions to make sure you, your house and our employees are safe before beginning any job. We take our jobs seriously here at Tree Service Spokane and yet to this day ad any serious accidents or injuries. 7. In House Arborists. Many tree service companies have to outsource an arborist. This means you never truly know who or what you are going to get. We on the other hand, happen to have our very own tree doctors who have over 60 years of combines experience. If you have trees that aren't growing as you'd wished or that are decaying or dying, we have the people to solve the problem. 8. Well Trained Technicians. Tree Service Spokane invests a significant portion of its revenues back into training its employees and technicians. We have several courses and training programs that newly hired employees are required to go through. We are also always training even our most experienced and knowledgable technicians with the most up to date techniques and understanding. 9. Respectful And Friendly. Our employees are not only the most affectively trained in the industry, they are also some of the kindest and friendliest. We only hire people who are outgoing and good at interacting with others because we want you, our customers, to feel comfortable and pleased with our service. All of our company's people go the extra mile to ensure that you are pleased with the finished results whether it be tree removal, fertilization or any of the services we offer. 10. Longest Life Expectancy. Tree Service Spokane has proven that the trees and greenery we care for and treat lasts the longest. Our techniques, solutions and materials are top of the line in the industry. We believe that we can bring just about anything that was once green back to life. To hear from other people and not just us, take a look at our testimonials page or go to our google plus page. Don't bother calling anyone else. We are experts having over 15 years of experience as an organization. We also offer the most competitive prices in the area. We appreciate you taking a look at what we have to offer! For emergencies call right away and we will do our best to get our staff to your location pronto. Don't wait any longer to get us out there! Call 509-315-3327 or fill out the free quote form above. For information regarding promotions simply call or email.